The newspaper was established in 1994 in Kyiv. 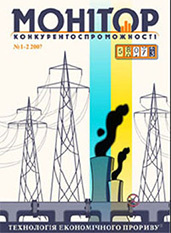 At first it was published in Russian and had a title «Zerkalo nedeli». Since 2002 the newspaper is being published in two languages – Russian and Ukrainian. Since 2001 the main articles are also available on the web-site in English and the access to all three versions of the weekly as well as the archive is free, regardless of the language chosen. The prevailing majority of the readers have received higher education – 79,7 %. 39% of the respondents are qualified professionals, 20% are the heads of departments, 5 % run their own business, and 3% are top-managers of the enterprises. Major informational agencies, analytical centers, and other mass-media cite the publications of «Weekly Mirror’».